Mario Agius (b.1956) has manifested a fond inclination to sculpture and design from his early years. He began his artistic studies under the late Mons. 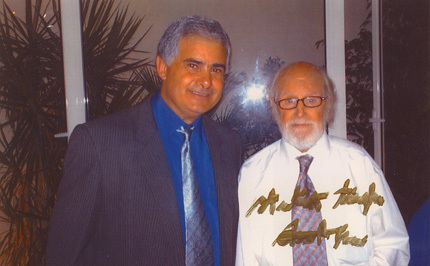 Michelangelo Apap (1915-2006) and furthered his studies in wood sculpture under the famous Maltese artist the late Anton Agius (1933-2008). 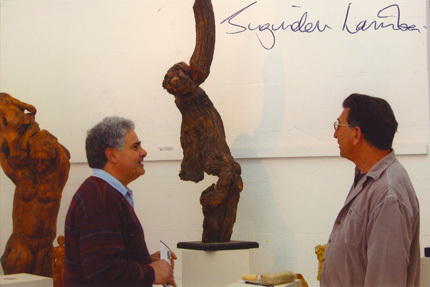 Juginder Lamba, a sculptor of international repute described Mario's works as if they “oozed with humanity and the human condition in a truly universal sense”. The artist has a number of sculptures in private collections both locally and abroad including in London and Switzerland. 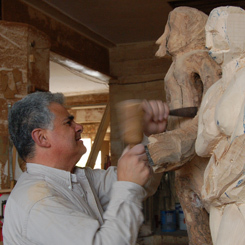 His finest wood sculptures adorn churches all around the Maltese islands. In 1989 he followed a course of studies in sculpture in the UK at the White Knight Gallery under the tuition of international artist Ian Norbury. Presently Agius teaches technology and design in wood at Ninu Cremona Lyceum Complex, Victoria Gozo. 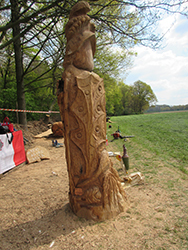 Mario has been actively taking part in various collective exhibitions including those organised by the Members of the British Woodcarvers Association. 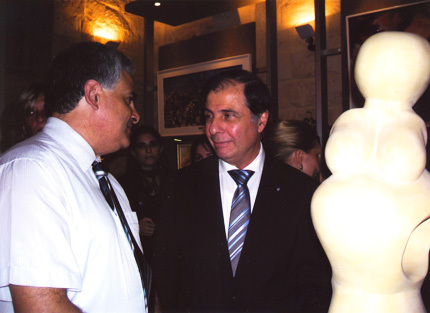 In July 2009, Mario exhibited his sculptures at the 'Marzi Art International Galerie' in Hamburg, Germany. In 2010, Ballerina, a sculpture in olive wood, was awarded the silver medal in the 10th Salon International Exhibition organised by Groupemant Artistique Nantes Facade Atlantique (GANFA) in Nantes, France. 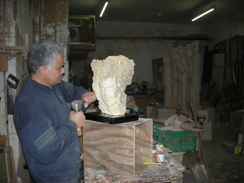 In 2011, another two sculptures, Kommunità and Il-}ajja, were shortlisted by the Arti fit-Toroq Competition organised by the Ministry for Gozo. 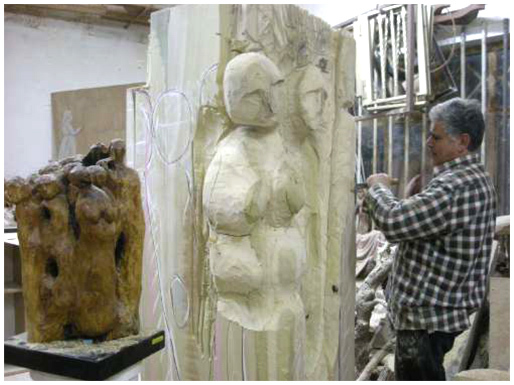 Subsequently Mario was commissioned to sculpt a life size monument in wood of “Kommunità”. To date Mario Agius has held four personal exhibitions; another one jointly with Italian artist Gino Marsili at the St. James Cavalier Centre for Creativity, Valletta; and also participated in nineteen collective exhibitions. His work has also been featured in the Marziart Artists Calendar 2012, apart from local magazines Let's Gozo and Muzajk and on local TV stations. He also attends design classes under Mr. Harry Alden. Mario is married to Maria nee' Sultana and has three children: Victor, Graziella and Charlene. He has recently became grandfather to Nina and Isaac. 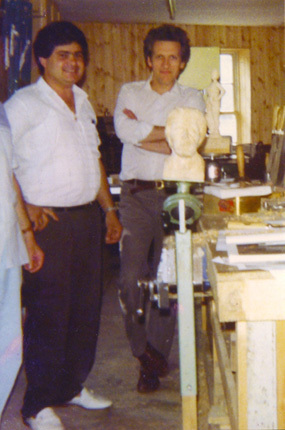 In March 2010, while staying in my villa and working on a series of sculptures in limestone in the Maltese island of Gozo, I was invited to visit the studio of the Gozitan sculptor Mario Agius. Walking through the door I was confronted with a vast body of work in wood and limestone. Immediately I was stunned by it and fell under its spell. The work oozed with humanity and the human condition in a truly universal sense. As I moved from piece to piece questions were being posed, through an ongoing process of enquiry, about the nature of the human being, about our external self and the hidden inner being, and about our relationship with nature and the environment. There was life in all its manifestations, there was death but also birth and regeneration, there was despair but also real hope, there was deeply felt pain and burden of the world on this artist’s shoulders, but also a sense of real joy and the recognition of the spark and magic that provides life with real meaning and the will and determination to transcend the earthly chains and fulfill its true potential. I came away numbed, but also inspired, deeply moved, and, above all, joyful. Mario Agius (l956- ) has nourished a love for sculpture and design from his early youth. His humble, kind and gentle nature impinges itself on his concepts, vision and artistic expression. Talent and his enthusiasm for sculpture helped him in no small way during his studies under the late Monsignor Michelangelo Apap (1915-2006) in drawing and painting and in carving wood under the able direction of Anton Agius (1933-2008) one of our leading carvers in wood after the exceptional Samuel Bugeja (1920-2004), his relative. 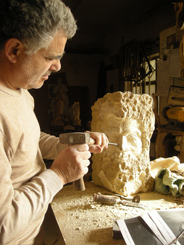 For several decades Mario Agius has been commissioned numerous works in churches especially and particularly in the sphere of decorative sculpture in wood and ecclesiastical furniture. In 1989 he attended a course in sculptural studies at the White Knight Gallery in Cheltenham, U.K. organized by Ian Norbury, a sculptor of intemational repute. 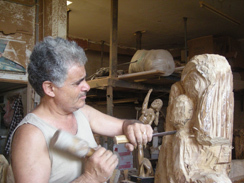 Presently Mario Agius teaches technology and design in wood at Ninu Cremona Lyceum Complex in Victoria, Gozo. The artist has participated in various collective exhibitions including those organized by Members of the British Woodcan/ers Association. A number of his works have been acquired by art lovers and are found in private collections both locally and outside our shores that include countries like England and Switzerland. His finest works in carved wood adorn our churches in towns and villages. Mario Agius is an expert craftsman and professional artist who has exploited surface globigerina with a hard patina, creatively using vermiculated eroded surfaces for effect in contrast to silken polished parts. Copyright © 2008 MarioAgius.com. All rights reserved. Website Developed and Hosted by: Keen Ltd.